The idea of creating sensory gardens and spaces for dogs started some years ago when I explored ways to enrich my own dog’s (Eb) everyday experiences in our back garden. This is the first instalment of my personal journey into the creation of sensory spaces for dogs, and it’s a tribute to my dog who taught me many things about dogs, dog training and the human-animal bond. I learnt a lot about backyard gardens from Eb through observation. In my own back garden, I created spaces for Eb to dig and wander through the plants. She created what I call her nests – places where she could go to relax and be alone. I experimented with different plants and herbs such as thyme, catnip, chamomile, mint, wheat grass, marigolds and scented geraniums. I created a bamboo forest area where she could explore. This was one of her favourite places and was part of her morning ritual. I collected a range of found objects and plants to see how she would interact with them such as seaweed, feathers, pine cones and recycled tyres. She was such a curious dog and sometimes I would say to her “you are so nosey”. The sensory garden still evolves although she died on 22 October 2018 after 15 years in her garden and my journey continues in learning about sensory gardens for dogs. ← What is your dog thinking at Christmas? I’d never heard of this. What a beautiful thing to do for your dog! I’m sorry to hear you lost Eb so recently. What is your dog thinking at Christmas? Fiona is an urban planner, dog lover & dog behaviour trainer. 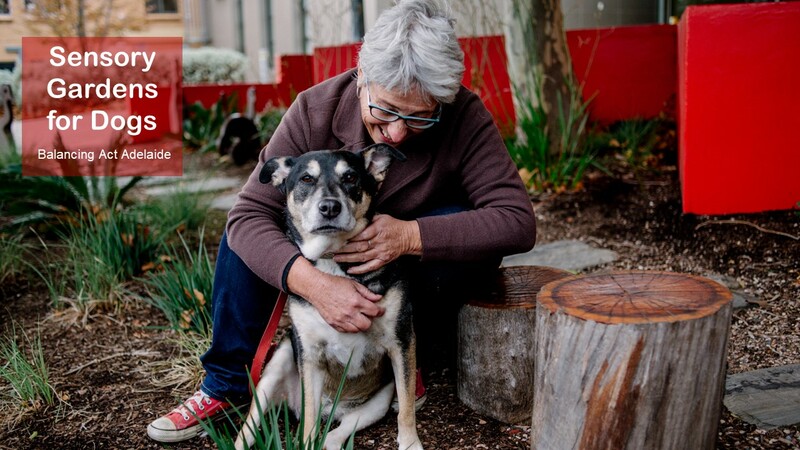 She integrates both dog + human needs into the planning & design of urban environments including city precincts, open spaces & the public realm.